Winning Words–Three Puzzle Cases to Generate a Philosophy Discussion! 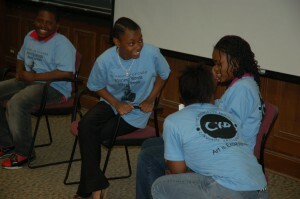 With Winning Words, young people on Chicago’s South Side are introduced to the joys and wonders of philosophy and provided with greater educational opportunities for practicing considered self-expression, reasonable and cooperative conversation, collaborative inquiry, and thoughtful self-examination. They practice the arts of philosophical dialogue and the famous Socratic method, along with public speaking and reading, dramatic performance, and other verbal arts drawn from the humanities. And they do this in ways that are engaging and inspiring—fostering the sense of wonder that is at the root of true wisdom, intellectual growth, and ethical reflection. With Socrates, we believe in the examined life. With the famous American philosopher John Dewey, a founding figure at the University of Chicago, we believe in learning by doing, breaking down the barriers between school and society, and building a more deliberative and reflective democratic community. With Winning Words, younger students in local public schools are connected to some of the most successful college students in the world: those at the University of Chicago. 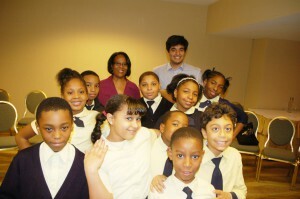 Working under the guidance of The Civic Knowledge Project, the University of Chicago students are trained to bring the Winning Words program to these younger students at their own schools. 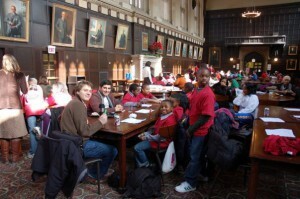 And those younger students are also given many opportunities to visit the Hyde Park campus of the University of Chicago to engage in exciting educational activities—class discussions, theatrical performances, and other programs that can inspire these young people with a vision of just how rewarding and relevant college life can be. Please help us spread the word about Winning Words! We welcome your participation! Who We Are: Winning Words is a public ethics program of the University of Chicago Civic Knowledge Project, which is in the University’s Office of Civic Engagement. In Winning Words, students and faculty from the University of Chicago facilitate provocative and meaningful philosophical conversations, inquiries, projects, and activities with children and young people across Chicago’s mid-South Side. 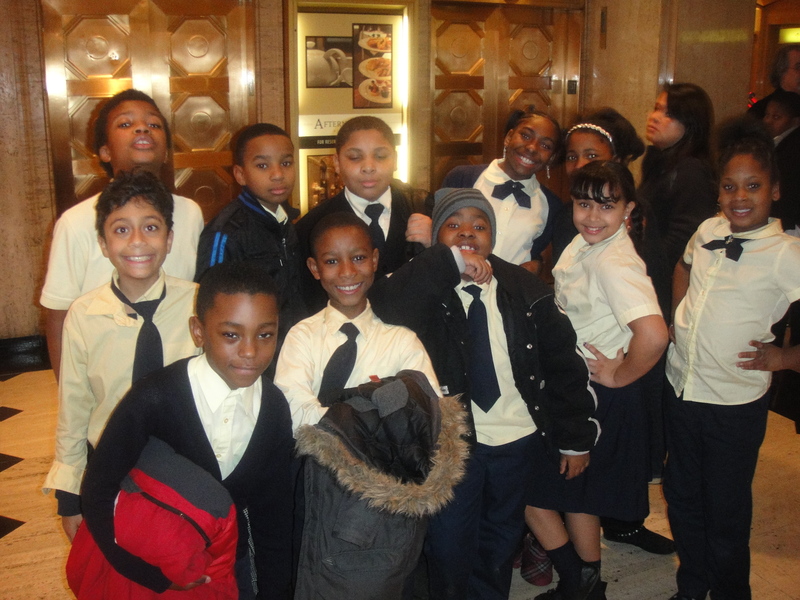 What We Do: Winning Words works with all precollege age groups, from pre-K through 12th grade, offering high quality and diverse philosophy instruction both on the campus of UChicago and on site at schools, community centers, foundations, churches, and more. Participants practice a form of the Socratic method, engaging in the arts of philosophical dialogue and conversation, and they work in communities of inquiry fostering ethical and political reflection, meaningful self-expression, and critical thinking. They write, design, and perform philosophical skits, participate in “Ethics Bowl” tournaments, compose Aesopian fables, and more. Why We Do What We Do: Philosophy, whether regarded as the love of wisdom, inquiry into how to live one’s life, or the effort to achieve a critical perspective on the Cosmos, can be both good for its own sake, as a vital part of the good or rightly lived life, and a valuable tool for enhancing academic performance, improving reading and writing skills, class participation, analytical reasoning, and more. Winning Words works in close collaboration with the Philosophy Learning and Teaching Organization (PLATO), which is dedicated to promoting precollege philosophy across the U.S.—see http://www.plato-philosophy.org/why-plato/ for more information on the value of precollege philosophy. If you are interested in the Winning Words Program, please contact the Executive Director of the Civic Knowledge Project, Bart Schultz, at 773/834-3929. We are always eager to work with students, teachers, administrators, and parents to help promote precollege philosophy! Winning Words students participating in the American Philosophical Association’s Committee on Pre-Collegiate Philosophy.